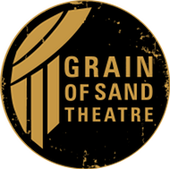 Grain of Sand is presenting staged readings of two new one-act plays by founding member Carl Brandt Long, as part of Theatre Alliance and H Street Playhouse's Hothouse on H reading series. In The Fairy Tale , a prince falls in love with a damsel in distress. They try for happily-ever-after, but a witch, a fairy, and some cops stand in the way. Thomas Jefferson has taken on the task of writing the Declaration of Independence, but has writer's block. He visits his friend and mentor, who is not nearly as helpful as Jefferson would like. This reading is presented as a part of Hothouse on H, courtesy of Theater Alliance.